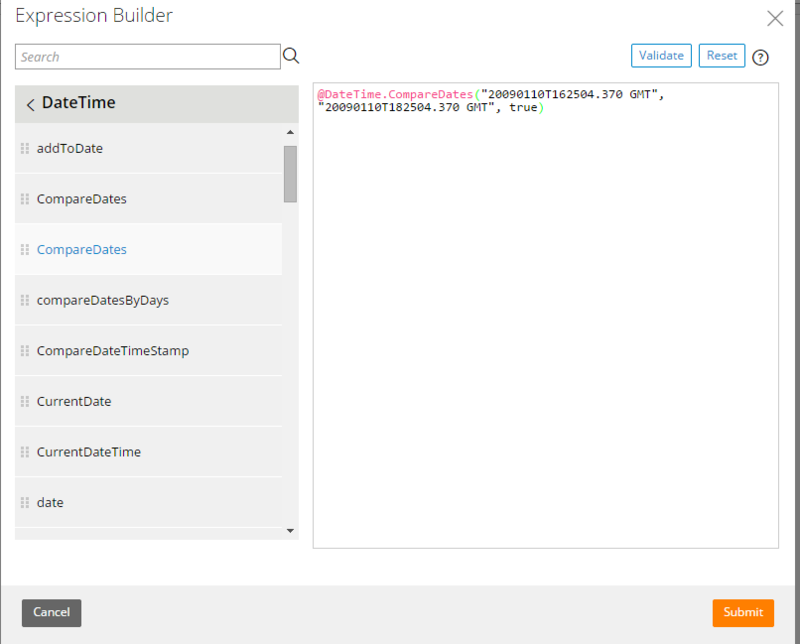 The Expression Builder guides you in constructing arithmetic and logical expressions in your application. 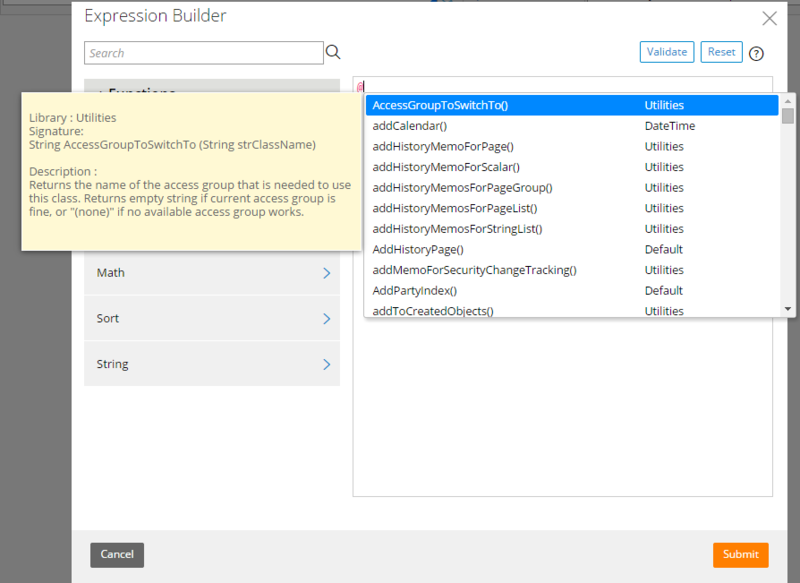 You can open the Expression Builder in multiple locations across Designer Studio. For example, you can enter expressions in activities, data transforms, constraints, and most other places that compute a value at run time. An expression is a single text element that, when evaluated, returns a single value. Use expressions to perform operations on data, including performing mathematical operations, comparing date and time values, manipulating text, transforming data, and converting data types. To build an expression, do the following steps. 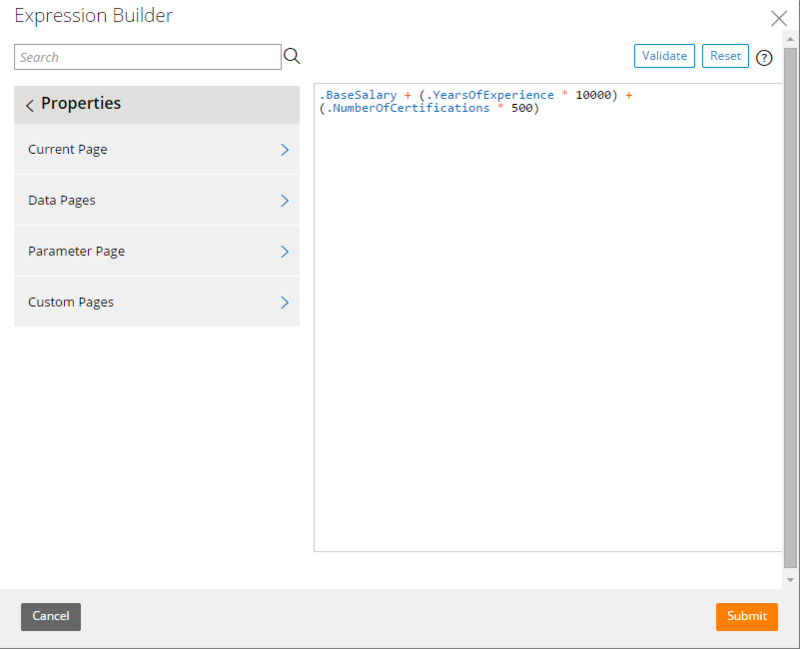 In the Expression Builder text editor, enter all or part of the expression. Select properties and functions from a list by typing "." for a property and "@" for a function. Hover your mouse over a function to display a tooltip that describes what the function does. Use the navigation pane to drag functions and properties into the text editor. After you drop a function into the text editor, the arguments of the function are displayed. Provide values for the function. Optional: Search for a property on your current page or for a non-internal function by entering all or part of the text to search for in the search field by clicking the Magnifying glass icon or by pressing Enter.